Reformed 1 Nov 1938 in Grossenhain from Stab/Aufklärungsgruppe 23. On 26 Aug 1939 redesignated Koluft 4. Formed 1 Oct 1937 in Insterburg from 2./Aufklärungsgruppe 111. On 1 Nov 1938 redesignated 1./Aufklärungsgruppe 10. Reformed 1 Nov 1938 in Grossenhain. In Nov 1943 redesignated 11./11 (see below). Served under Stab/NAGr.5 (May 1942 - Mar 1943), Stab/NAGr.15 (Apr 1943 - Nov 1943) and Stab/NAGr.8 (Jul 1944 - Aug 1944). Formed 1 Oct 1937 in Insterburg from 3./Aufklärungsgruppe 111 (as Nahaufkl. Staffel). On 1 Nov 1938 redesignated 2./Aufklärungsgruppe 10. Reformed 1 Nov 1938 in Grossenhain from 2./Aufklärungsgruppe 23 (now as Fernaufkl.Staffel). Served under Stab/FAGr.4 (1943 - 1944), Stab/FAGr.1 (Oct 1944 - Dec 1944) and Stab/FAGr.4 (Dec 1944 - Apr 1945). 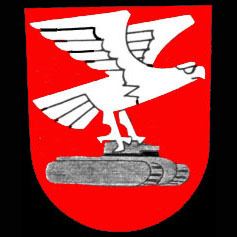 Formed 1 Oct 1937 in Neuhausen from 3./Aufklärungsgruppe 121. On 1 Nov 1938 redesignated 3./Aufklärungsgruppe 10. Reformed 1 Nov 1938 in Grossenhain from 3./Aufklärungsgruppe 23. 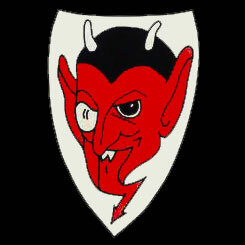 In Jan 1942 redesignated 3.(H)/11. Served under Stab/NAGr.3 (May 1942 - Aug 1942), Stab/NAGr.1 (Sep 1942 - Mar 1943), Stab/NAGr.14 (Apr 1943 - Jul 1943), and ObdL (Aug 1943). On 9 Aug 1943 redesignated 5./ZG76. Formed 1 Apr 1939 in Grossenhain. Formed Oct 1940 in Grossenhain. On 1 Feb 1944 redesignated 1./NAGr.8. Served under Stab/NAGr.1 (May 1942 - Oct 1942), Stab/NAGr.14 (Nov 1942), Stab/NAGr.1 (Dec 1942 - Oct 1943) and Stab/NAGr.9 (Nov 1943 - Jan 1944). Formed Nov 1943 in Mogilew(?) from 1.(H)/11. Served under Stab/NAGr.15 (Nov 1943 - Jun 1944) and Stab/NAGr.8 (Jul 1944 - Aug 1944).